Time for one of this girl’s favorite challenges over at Splitcoast! I’m having a lot of fun playing with mixed media! The challenge today is to make a round, hand cut flower. 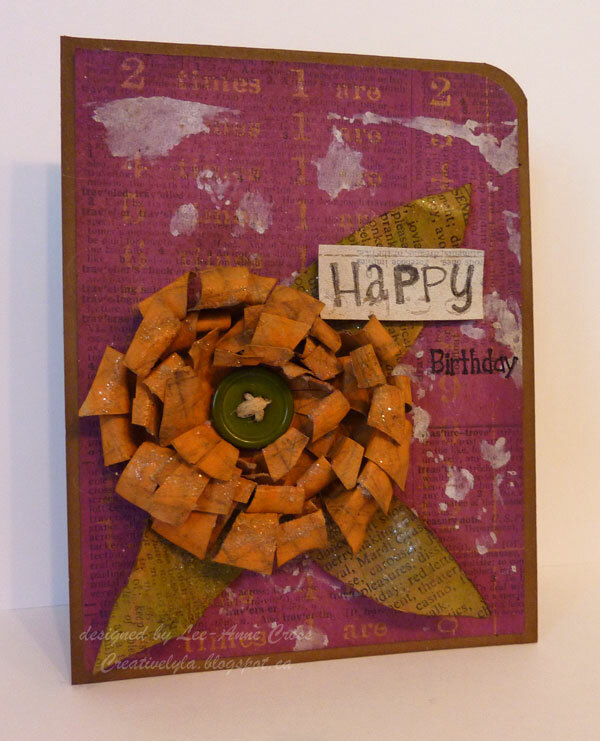 This also qualifies for the Free For All Challenge to make a glittered birthday card. Links are below. Have a wonderful weekend everyone! See you soon with more! Great flower and such a wonderful focal point! Well done!! Fantastic flower and colors Lee-Anne! keep em coming!